I was a freshman in college and decided to visit a local Baptist church. My adjunct New Testament professor, who was also the pastor, was one of my favorite instructors. I confess my original intentions of attending the church may have been influenced by hoping to brown nose a little bit. Little did I know this experience would introduce me to a life changing way of being Baptist. Along with the first time visitor’s packet from the church, I received a pen with printing along the side: “Cooperative Baptist Fellowship: A New Way To Be Baptist.” Something about that slogan peaked my interest. What was so different about the type of Baptist I knew growing up? It wasn’t long into my first visit to the church that I realized I wasn’t in Kansas anymore: There were women serving right alongside the men. The service was more liturgical than I had ever experienced in Baptist worship. The members were using phrases like “social justice” to talk about their ministries in the church. I wanted to know more about this Cooperative Baptist Fellowship (CBF)! While each congregation in CBF is unique, I knew these types of Baptists possessed something I wanted. They supported Walter Shurden’s historic and distinctive categorizations of Religious Freedom, Soul Freedom, Bible Freedom, and Church Freedom. There was a link to Baptist heritage while also empowering freedom in creativity for present context. They supported both women and men in ministry. My girlfriend (who is now my wife) and I were able to worship, serve, and grow together as equals under the call of God. The denomination was also more of a network of Kingdom churches rather than some sort of superpower imposing creeds on the people. Congregations worked together on mission to value justice while being sensitive to local culture and partnering with indigenous people. My first experience with CBF was eleven years ago, but the same ethos gives energy to the Fellowship today. When my wife and I followed the call of God to plant a church a couple of years ago after I finished seminary, one of our major priorities was teaming with CBF. The Fellowship valued our own autonomy while also walking alongside us for spiritual support, coaching, and consultation. They gave us the space to be who God called us to be and valued the fragile freedoms they preached. I spoke with other Baptist church planting groups and many of them had a specific playbook they wanted us to follow. CBF asked us what we valued, what we had to offer, and how we felt called. They then helped us formulate a contextualized vision, mission, and core values out of who God called us to be. We crafted a model for a church that appreciated liturgy, contemplation, both women and men in ministry, ethics, interfaith dialogue, and spiritual formation. Even though we are unique, we still partner with a diversity of churches who are united together through common fellowship. We want to be “big tent” Baptists who are bridge builders rather than rock throwers, and we find comfort in other Baptists who speak our same language. CBF gives me hope for a way to be Baptist in the Kingdom of God. The “denomi-network” (phrase coined by Suzii Paynter) provides space for relationships, friendships, and community for people who seek unity in our diversity. We proudly choose to be Cooperative Baptists and would welcome others to join us in God’s wonderful Kingdom service together. 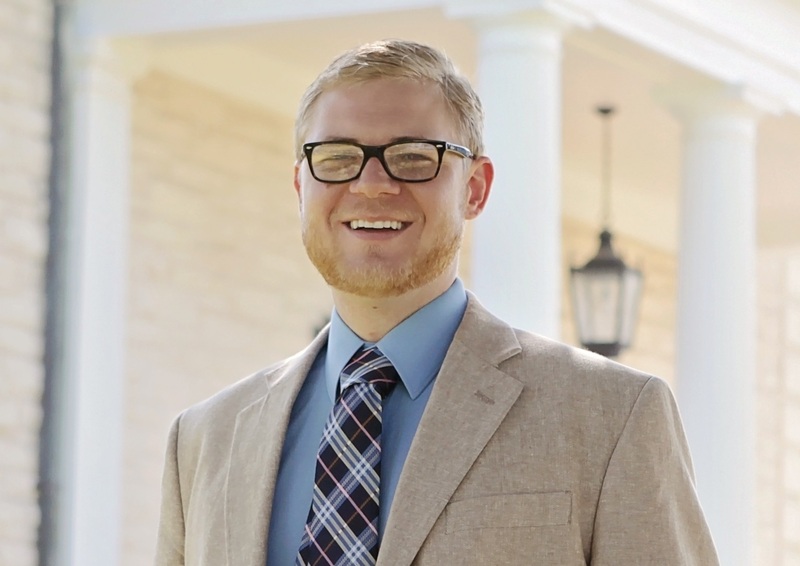 Kyle currently serves as a Cooperative Baptist Fellowship Fellow, Chair of the Austin/San Marcos regional board for CBF TX, and a Baptist Joint Committee on Religious Liberty Fellow. Kyle is a Ph.D. candidate in Leadership Studies at Dallas Baptist University. Follow Kyle on Twitter @kyleleetubbs. This column is part of a yearlong series sponsored and hosted by the Baptist History & Heritage Society, one of the Fellowship’s partners, exploring and celebrating why young Baptists identify with the Cooperative Baptist Fellowship. Wonderful article! God’s Blessings on this young man.